I usually see my first Swallow-tailed Kite of the year around my birthday at the end of February. And this time of year, the end of August, is when I usually see my last one for the year. Swallow-tailed Kites are social birds. When they are getting ready for their fall migration to South America, the birds gather in large roosting and feeding flocks in the weeks prior to the epic flight. 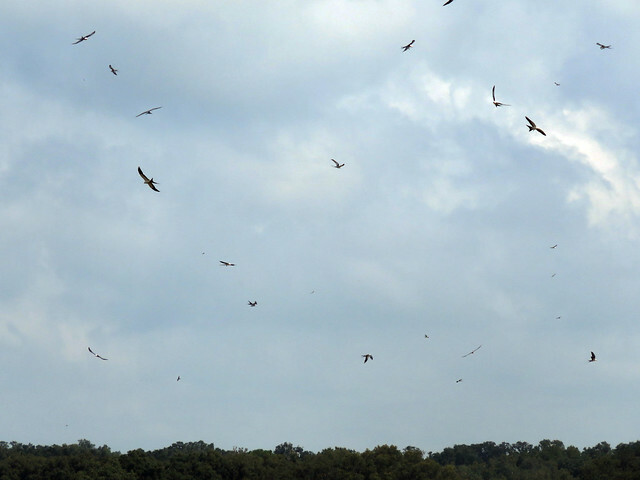 Large late-season flocks are known to occur at Lake Woodruff National Wildlife Refuge and Fisheating Creek Wildlife Management Area, among other spots. One communal feeding site that has gotten the excited attention of birdwatchers during the last few years is located in rural Sumter County, Florida. 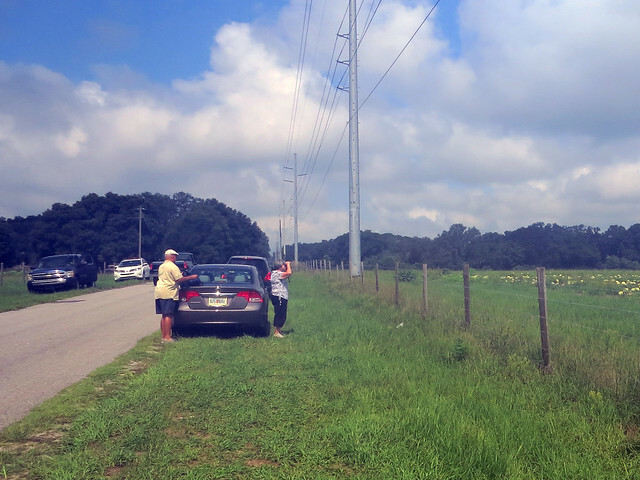 All through July our local birding listservs are full of breathless reports from birders who have made the trek out to the melon fields of Wildwood. The birds tended to start arrive around 10AM and peak shortly thereafter; the big show would last an hour or more. 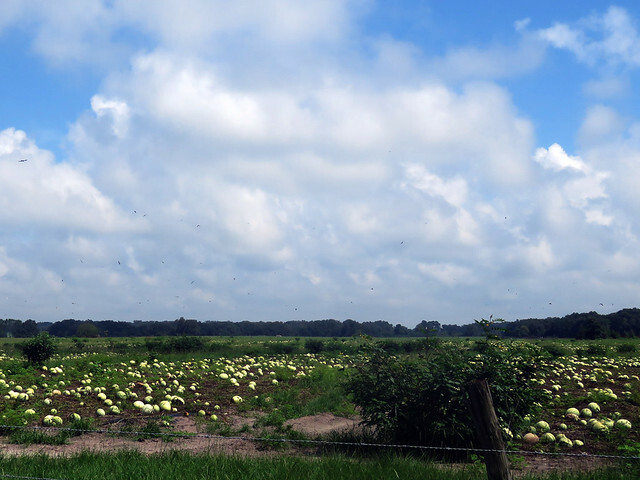 Arthur and I made the trip out to the melon fields on July 26th, along with my parents. We weren’t the only ones. And we were not disappointed. While cloud cover kept the birds from arriving at the usual time, once the skies cleared, the birds started to arrive. The skies cleared up. Look for the tiny dots in the distance — those are Swallow-tailed Kites! I estimated that we saw about 350 birds during our visit. Watching them was a treat. They were there to feed, and it was relatively easy to see them catching flying insects and devouring them while on the wing. We were also lucky to see (but not photograph) a Mississippi Kite flying among the Swallow-taileds — a Florida lifer for us all. This entry was posted in Florida, Migration. Bookmark the permalink.